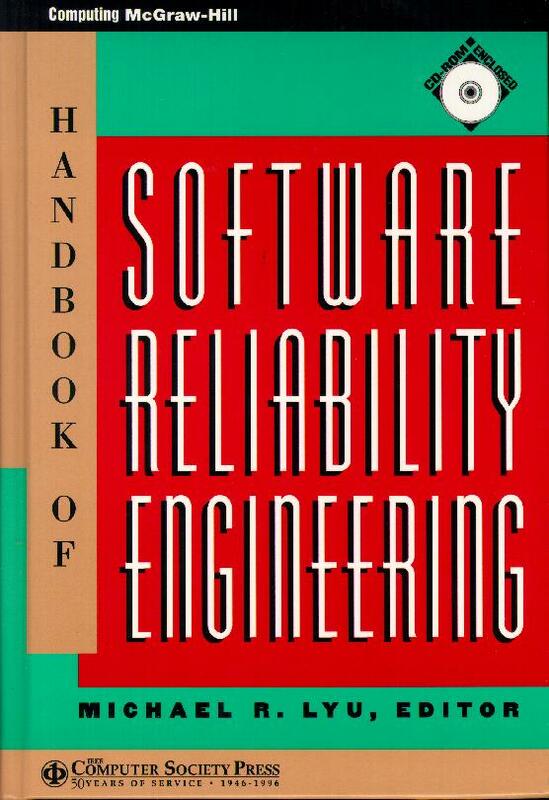 Click on to enlarge cover. Click on to enlarge back. The book content here is free for use or link. 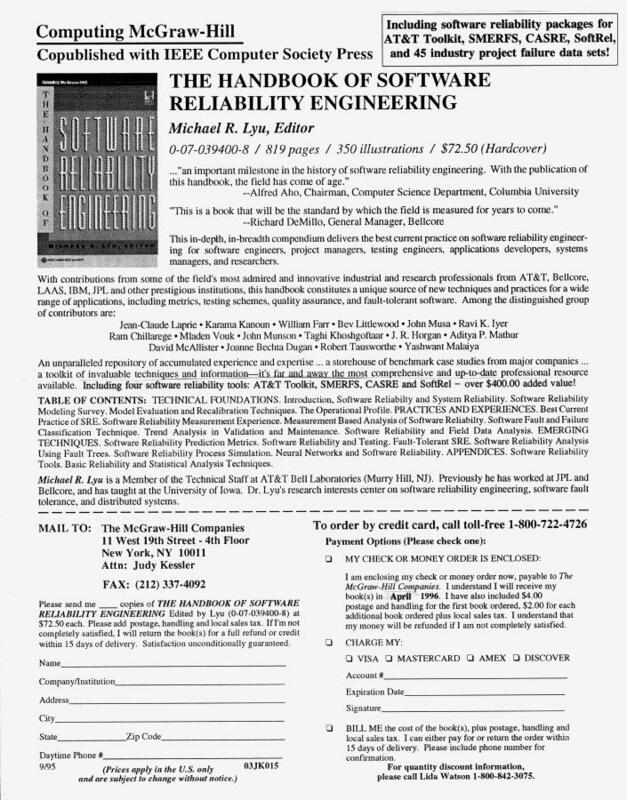 Please cite the book properly in resulted publications. 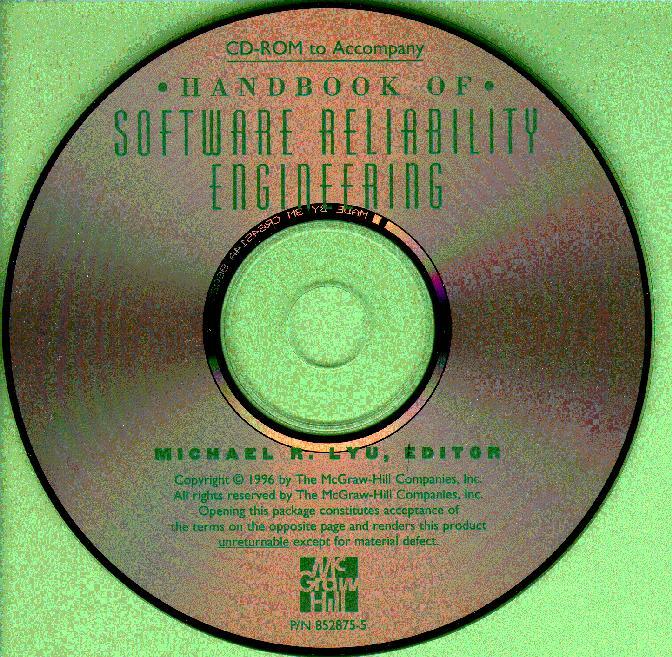 CASRE --- Computer Aided Software Reliability Estimation tool. 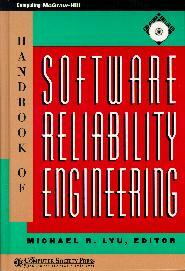 SMERFS --- Statistical Modeling and Estimation of Reliability Functions for Software. 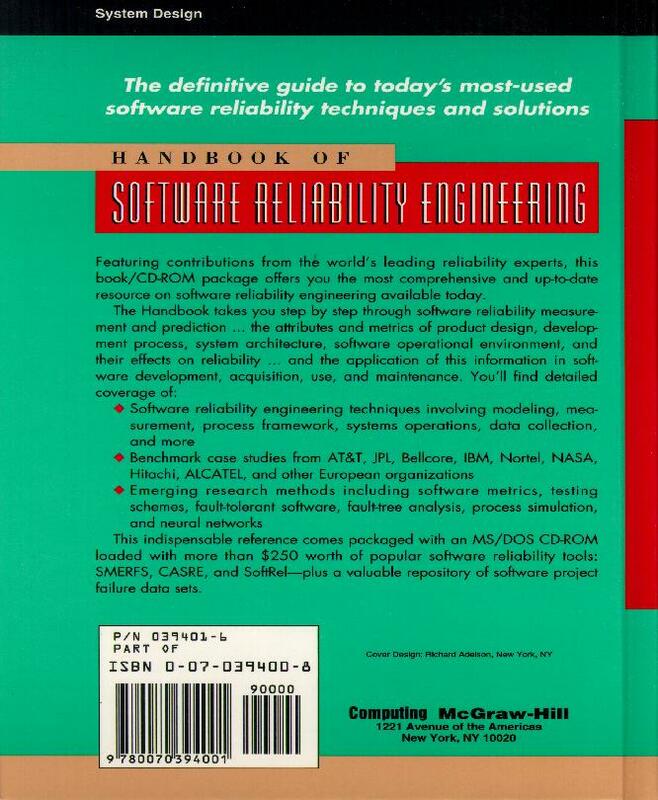 AT&T SRE Toolkit --- AT&T Software Reliability Engineering Toolkit. 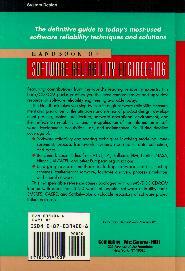 SoftRel --- Software Reliability Process Simulation Tool. Data Directory --- Containing 45 industry project failure data sets. Full Download ---	Download all contents of the CD in one file.